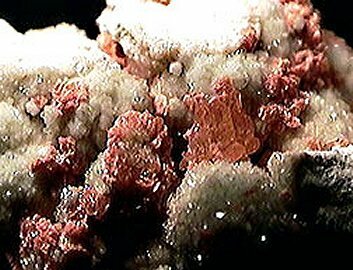 Comments: Sub-mm reddish orange crystals of hilgardite on white boracite. Location: Boulby Mine, Loftus, Cleveland, Great Britain. Scale: 1.5 x 2.5 cm.